Summer is over and we have some exciting new features to share! But first a quiz: what’s more important; ideas or execution? Ideas are like the wind, they blow all over the place, but execution keeps score. It’s the same with data. Your data collection efforts can be as vast as the Pacific Ocean, but its value is only realized when it’s in the right context, and in the right hands. That’s why we’re announcing Kompyte Notes. All the Kompyte Updates Modals have been redesigned to improve the way users take notes and share them with their team. 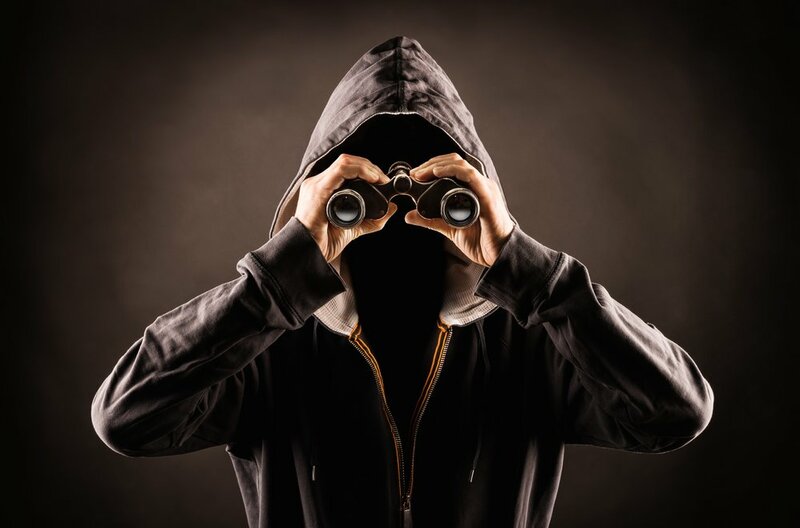 After all, your competitive intelligence is useless if you’re not gleaning insights. And that is what Kompyte Notes are all about: sharing new insights. With your comments always visible it becomes easier to extract value and execute the appropriate action as a team. 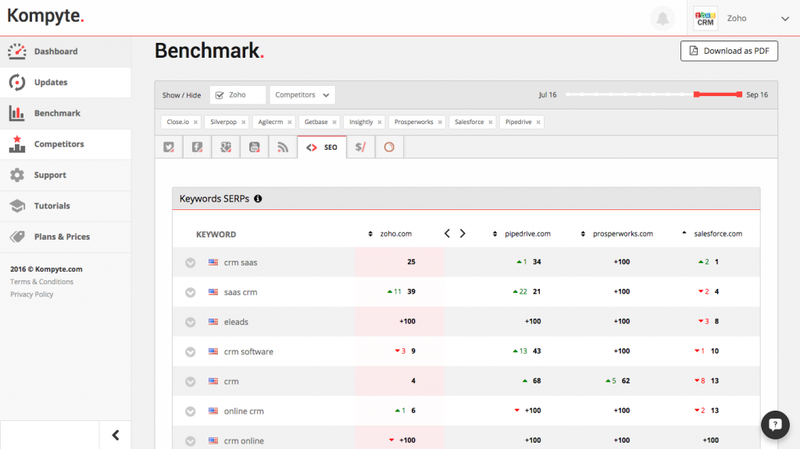 The SEO Benchmark Tab has been redesigned to improve the information dashboard, with a new table that displays all of the keywords you’re currently tracking. With the updated UX it’s easier to see what has happened and take action faster. The new user admin section is kind of a big deal. 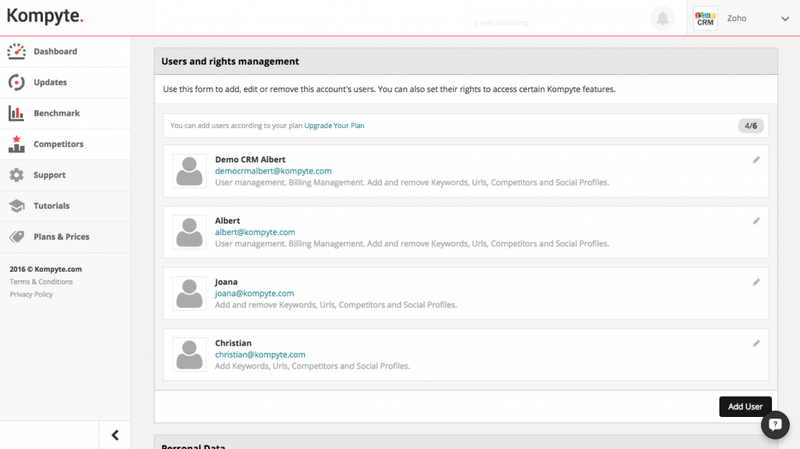 Now users can add more users to their accounts and set Access Rights for which profiles can make changes (Admin, Editor and User). Not to be outdone by our other announcements, now all plans includes tracking up to 25 pages per competitor. That’s right, we have upgraded all of our plans to track 25 pages per competitor. We have added the SEMRush Australia data base to our repertoire. A $1.5M economy shan’t be ignored. That’s all for this edition of Kompyte Updates Fall 2016. Good luck and happy tracking!